We have all been on planes or trains or buses with people who seem to show up with streamer trunks to store above your seat. This guy in Queensland Australia however is truly in a class by himself. Tie me Frigidaire down, sport. OK, so maybe this bloke deserves an Irish Poem. I mean the Transit Cops gave him a ticket, and booted him off the train. But you know how morbid I am, and a fridge. . . well. . . just read the poem. And his fridge – – – well I can’t help but wonder. . .
Did the Transit Cop make a wee blunder??? *FWIW, an “eddy” is defined as a “whirlpool”, and there was that guy who sold appliances. . . Oh, never mind. I know, but there are a lot of ESLs in the country, and “word plays” in English frustrate the beejesus out of them. I sort of got in the footnoting habit on one of my blogs, and it still crops up from time to time. One one blog, I usually had a word play caption on the picture, and then a hidden word play on the mouseover. Sooo, that was like two word plays per article, not counting the ones I sometimes had in the title, or in the article. I bout dang near footnoted myself to death. A similar word made famouse by both the fuel industry and the remakes of the Battle Star Galactica series was fracking. So if you see a lump of coal ….frack it. used as a euphemism for ‘f**k’. expressing extreme anger, annoyance, or contempt. Professor I am truly shocked. Even in the infantry or the merchant marine did we use such lahguage. Both of my bags stayed and I received a standing O from the other men on board. And sometimes they even try ATM machines. It was a commuter train; no baggage car. Fridge. Frig is a pejorative with negative connotations. No charge, this is a public service announcement by the Grammar Cops. Yeah, I was thinking that too. Almost as bad as frottage. Or is it fromage? I always get those two confused. Whatever, it’s very cheesy behavior. 2. Frottage Fromage … What does frottage mean anyway? … a different type of milk (cow, goat or sheep’s milk) or a different family of cheese. … behind; which I’ve only now come to realize, has a sexual term that describes it — frottage — that always has me confusing it with fromage, French for cheese. … nuance qu’on reconnaît que les fromages ont suffisamment séjourné dans les caves, et qu’ils sont en état d’être livrés aux consommateurs. FROTTAGE. DES. 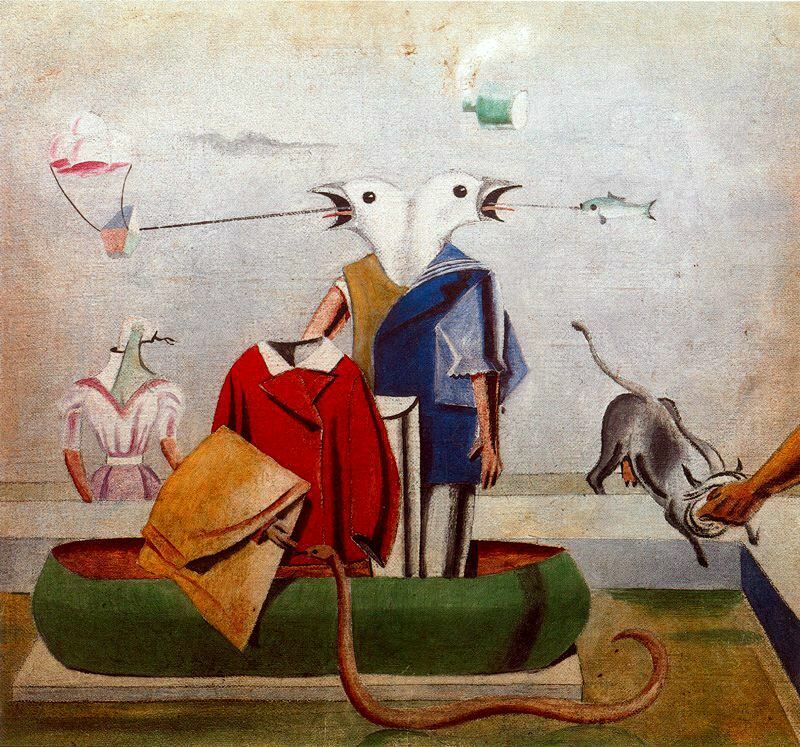 Ah, Max Ernst! Now, there was a strange bird! I thought it was his date. Silly me! If you can convince my children of what you say, you will have convinced me. Surely he has time to run his spell/grammar-checker? But, then, Ima dinosaur who often cannot understand what my grandchildren say, as they have invented a new language with which I am not familiar. My superlative English teacher, Mrs. White, would come back and get me were I to publish without editing. She had me read my writings backwards as that’s how all mistakes are discovered. Such errors can make one wonder if the fact-checking was done in a similarly haphazard fashion. This would be no big deal in NYC. Subway is overcrowded anyway. There was a fat woman as big as that frig who used to ride the train in DC. She sat in two seats which had no arm rest between them. You could not walk past her on the aisle. When she got off the train rocked. Her name was Little Sue. Her eyes were blue. Her shoes were big. She was not a pig. Just after college I lived in Manhattan for a few years. I did not care much for furniture in those days. So for a bed I bought a queen size block of foam. The store clerks were kind enough to fold it in half and tie it with cord. it was pretty easy to carry it to the subway and ride to the stop nearest to my building. I saved a bundle on cab fair – if I could have found a cab willing to transport a queen size foam mattress. I did not even occupy a seat the whole trip – what’s the problem. The butcher block I used for a desk top was a different story – I had to get a cab for that one, too heavy. But to this day, that was the most stable desk I ever had. This is common in New York subways. I once saw two men moving a large dresser onto a subway train.